The NGC is a vibrant, dedicated and enthusiastic team of over 50 people, the majority of whom have technical expertise as research fellows specialising in systematic reviewing, health economists and information specialists. They are supported by operational and clinical directors and project managers. 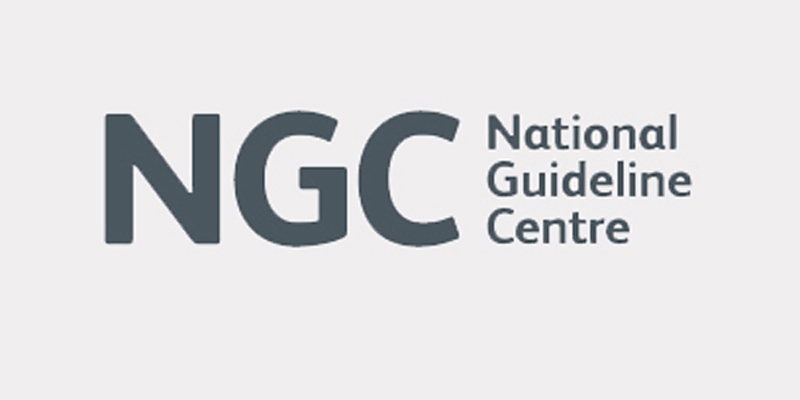 The NGC (formerly known as National Clinical Guideline Centre) was formed in April 2009 following the merger of the National Collaborating Centres for Acute Care, Chronic Conditions, Nursing and Supportive and Primary Care. These were based at individual royal colleges. The NGC is hosted by the RCP and is one of the largest guideline development centres in the world. It has governance partnerships with the Royal College of Surgeons of England, Royal College of General Practitioners, Royal College of Nursing and the RCP. The National Guideline Centre (NGC) is commissioned by the National Institute of Health and Care Excellence (NICE) to develop evidence based guidelines. NICE guidelines provide care standards within the NHS for healthcare professionals, patients and their carers on the prevention, treatment and care of people with specific diseases and conditions as well as recommendations on the organisation of services and social care. Find out more about guideline development, and also about contributing to a NICE guideline, which is available on the NICE website. We also have a consultancy service which provides support for other national and international organisations – including clinical commissioning groups and specialist societies – and run training courses in topics related to systematic reviewing and health economics.